Got this blog idea from my bro-in-law, who lives in DC and reads RP.com when he’s bored — which is prob the 4th quarter of Redskins games. Like everyone in DC, bro-in-law has a super high security job which means I can’t reveal his identity. If I do, terrorists will find and kill him. Maybe my sister too. Worst case is they kill both of them and start monitoring this blog. For security purposes, I’ll refer to bro-in-law as MIKE ALFA TANGO (MAT). MAT has a 1940 colonial which is very similar in age & style to homes on the greatest street on earth: Randlett Park. 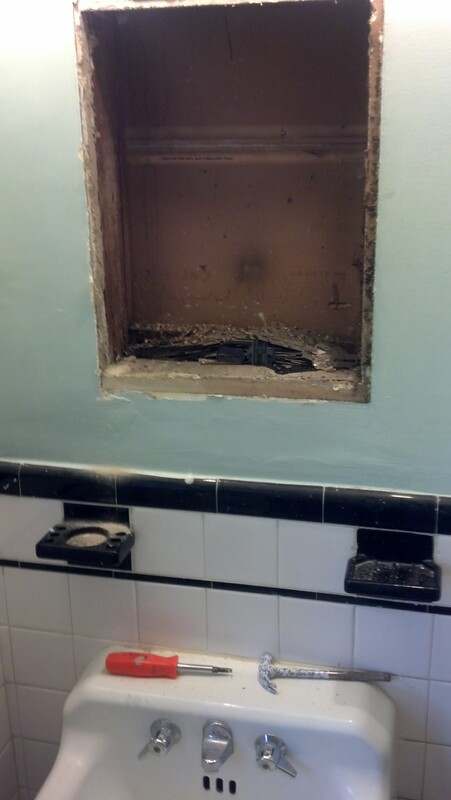 Over the weekend, MAT was replacing the medicine cabinet in his upstairs bathroom when he got a little surprise. There was a pile of used razors behind the medicine cabinet. 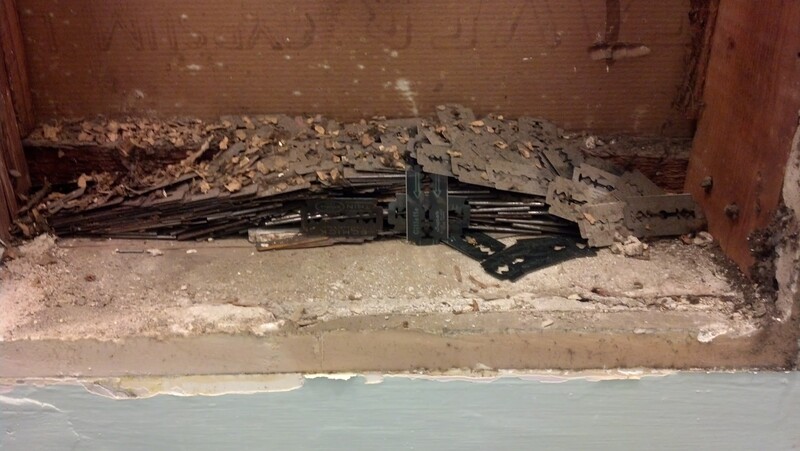 Back in the day, some medicine cabinets were designed with a small slit for razor disposal. Once you were done shaving, just slide the razor through the slot. No need to throw it in the trash or worry about the kids finding and cutting themselves. With the razor disposal, the razors stay behind the medicine cabinet. Forever. If you find this behind you’re medicine cabinet, put some gloves on. Management says be careful for blood born pathogens as well. Blood born what? Must be from her crime shows. Thanks to MAT for the blog idea and being one of the 4 people reading RP.com.